Dance company Hubbard Street Dance Chicago gave a visually stunning and intellectually stimulating four-part performance at the Granada Theater on Tuesday, October 3. Organized as part of the UCSB Arts & Lectures Fall Program, the Granada was fully seated, as students, UCSB faculty, and patrons of the arts mingled thanks to cheap student access and the generous donations of others. Glenn Edgerton, the Artistic Director of the company, organized the production, which is made up of four parts. The first, Cloudline, makes excellent use of sound design, creating a beautiful consonance with pieces like Sufjan Steven’s “Now That I’m Older” and Emitt Rhodes’ “Lullabye,” lending the technically complex arcs and swirls of the dancers a purposeful expression of emotion. 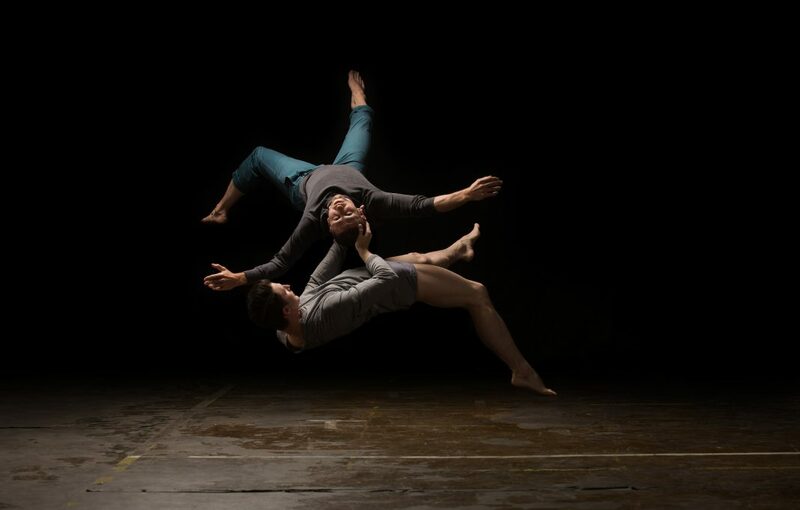 The dancers created an intimate dynamism, in which they alternated between throwing each other to ground and, just as swiftly, lifting one another back to their feet. It seemed almost as though the coupled dancers weren’t sure if they were fighting or in love. The second piece, ViolinCello, follows an intermission. This striking, complex duet displays a man in an elegant powdered wig and a woman in a simple black outfit on his left knee. A violin bow rests perpendicular upon her upper arm. As light floods the scene, they begin a rapid routine during which the bow seems to play her movements with perfect timing, as if she was the muse of Bach’s “Suite No.1.” This piece raises interesting questions about what it means to play an instrument, as occasionally she chooses to hold the bow, implying some human agency surrounding music and the mysterious nature of finding inspiration to create art. ViolinCello asks what it is to be human, to act, and what it means when the things humans use begin to shape their decisions. Eventually, all but one couple left the stage. As a female figure walked away from her male counterpart, disappearing into the darkness backstage, a silken sheet floated ephemerally down to form a grey, monochromatic background. Faster than eyes can catch, she returned, slipping under the sheet and pulling the sky down onto them as the two lovers made the very environment around them their bed. This ingenious use of silken sheeting displays the excellence in composition that Hubbard Street Dance Chicago is deservedly acclaimed for. The third movement is Jardi Tancat, inspired by three Catalonian couples suffering the harsh farming of the barren land. The show’s program quotes the inspiring passage, “Water, we asked for water; And You, oh Lord, You gave us wind.“ Total silence emphasizes the tragic labor of these couples, as human movement is explored in this unique performance. The musically unaccompanied choreography offers a moment of visual beauty before the dancers transform the tone of the movement. The uncertain optimism of Maria del Mar Bonet’s music seemed to kick-start a primal dance that prays for rain. Powerful, feminine movements create swirling flashes of pigments that mark space and time across the stage. The colorful costumes of the women contrast with the simple laborer’s outfits of the men, who move powerfully at first yet with little success, as their harsh, stooped actions declare. Finally the land is sowed, and the couples dance in a dynamic, joyful equilibrium maintained by leaps, swirls, and leaning embraces that defy gravity. The final and most complex performance is One Flat Thing, Reproduced. Described by William Forsythe, the choreographer, as “a rubix cube of dance,” it features a stage filled with twenty tables just inches apart, offering an entirely original level of perspective and much greater sense of depth as each table leg creates a visual reference point. This performance made excellent use of the technically skilled dancers and choreographers to create a well-ranged show offering innovative, interesting movements that brought about self-reflection. With complex questions suggested by these dances, this deeply physical portrayal of human connection offers students a different approach to intellectual issues.